Northern Lights, Alaskan Nights – The Great Canadian Travel Co. There is no more iconic northern experience than the Aurora Borealis. Our unique six-day adventure by land and air will explore the Brooks Mountain Range from our base in Coldfoot. Prices are shown in US$, per person, based on two people sharing a twin room and one person in a single room. All prices are subject to change without notice due to changes in tariff rates, taxes and fees and other unforeseen increases. 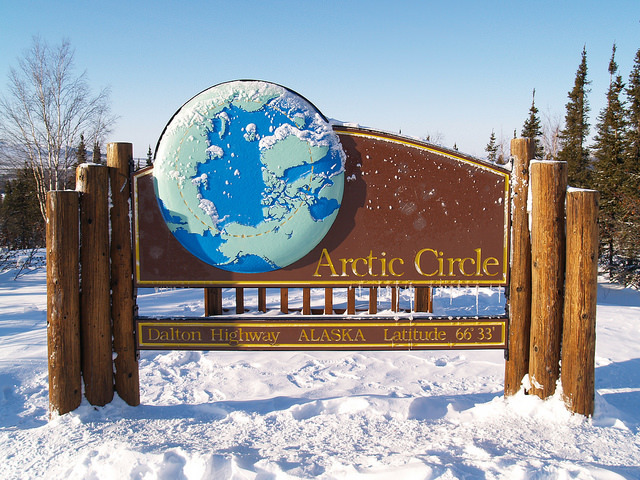 Fly from your home base to Fairbanks, Alaska and check into your hotel for an overnight stay. North across the frozen Yukon River and the Arctic Circle as we head to our cozy base in Coldfoot; in the evening, enjoy the magical Northern Lights. 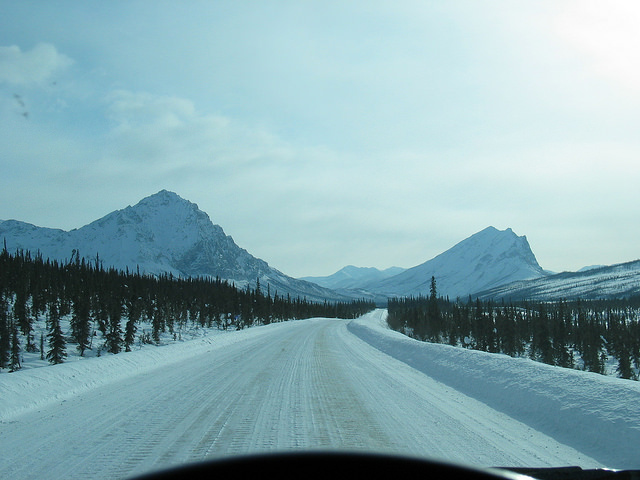 A full day of sightseeing as you head north to the Atigun Pass located in the stunning Brooks Mountains; in the evening, once again in Cold foot, you will have another opportunity to watch and wonder at the Aurora. A free morning to enjoy Coldfoot, and in the afternoon, time with the mushers. You will spend time with the mushers and learn about dog sledding, ride a team and even drive one of your own. 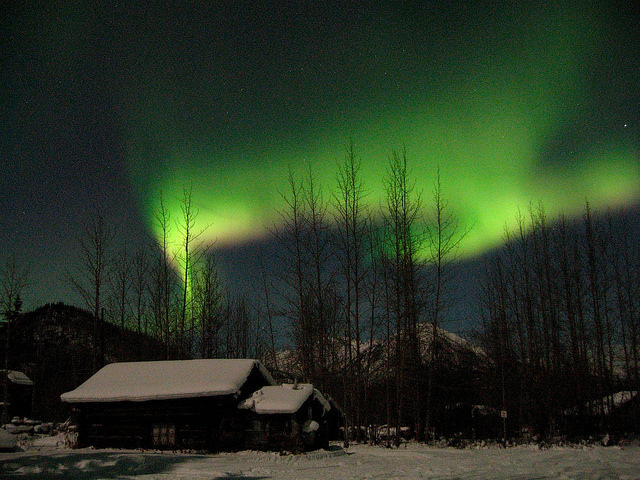 In the late evening we will head to historic Wiseman for another opportunity to see the Northern Lights. 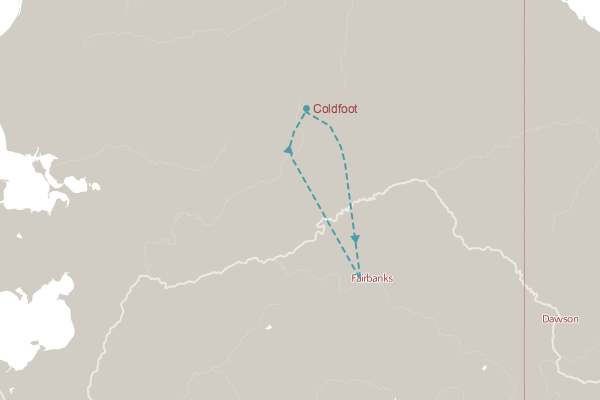 This morning we will be in Coldfoot, and in the afternoon return by air to Fairbanks where we will land in the mid-afternoon. Transfer to your hotel and enjoy your last evening in this unique northern town. This multi-day tour will introduce you to the extraordinary lights, sights and scenery of the Arctic in winter! 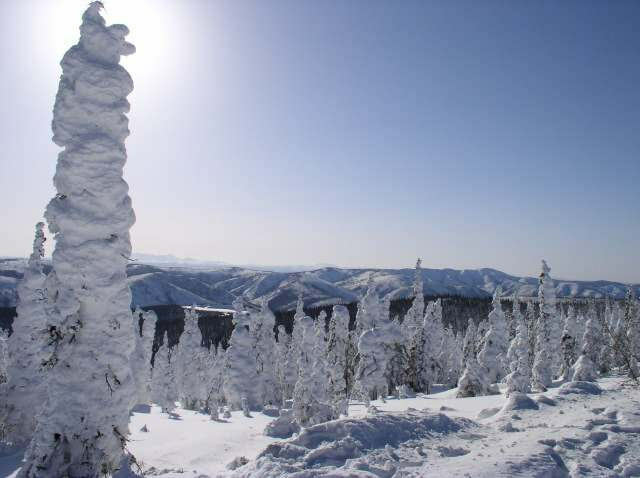 Ask us about adding on a day trip to Chena Hot Springs (From US$150 per person), adding on the train between Fairbanks and Anchorage and some time there, or travelling to another destination from Alaska. 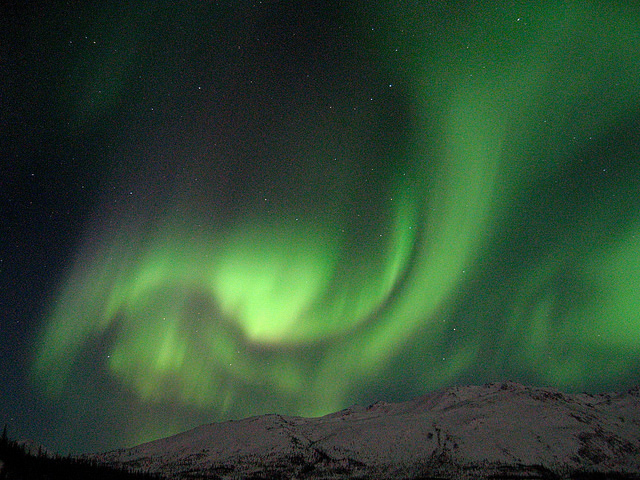 Please bear in mind that the Northern Lights are a natural phenomenon and cannot be guaranteed. They are dependant on the whim’s of Mother Nature!